Realm is built for developers around the world, by a team that cares about its users. We keep our products on the cutting edge by staying involved with conferences, meetups, forums & blogs about the newest trends in Swift development. See how our products can help you with your apps, or learn what we’re learning! 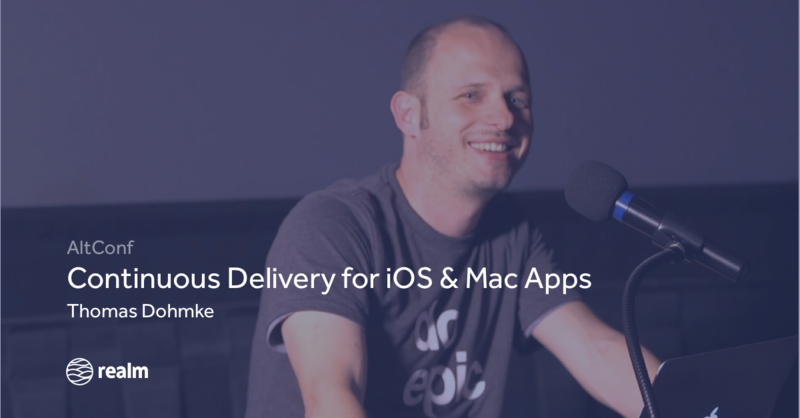 We cover all the latest Swift development news, from events around the world. Check out some of our favorite articles below! his talk gives an overview of the available free and commercial tools and shows how to put them together in 3 live demos. 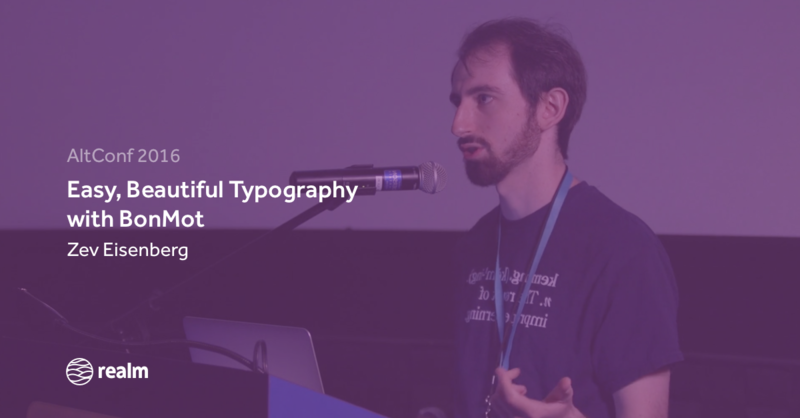 Zev Eisenberg tells us about BonMot, which is a library he wrote for making beautiful typography on iOS. In this talk, Conrad covers many concepts & tools that can used to reverse-engineer existing apps. We’re honored to be a part of some of the best Swift events in the world. We host the Swift Language User Group meetup in SF, and record talks from conferences like try! Swift. We also have our team speak at events like Swift Summit and #Pragma conference. An immersive community gathering about development in Swift. I’v been using @realm for a few things lately and I’m really liking it. The more I use @realm Swift, the more I love it.